Wallpaper is fashion and wallpaper is design. And like hardly any other "do-it-yourself" product, wallpaper manages to turn walls into a real home with as little effort as possible. With lots of individuality, your creative flair and the style of large design studios. A.S. Création Neue Bude 2.0 is made for you: The design wallpapers of the current spring collection underline your individual style. And all this in the best, sustainable quality. Made in Germany by A.S Création. 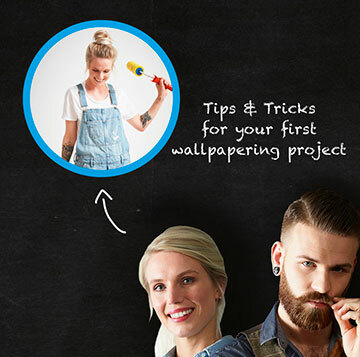 Let Tibo, Marie, Carlos and Klara take you into the creative world of wallpaper and start your wall project 2018.